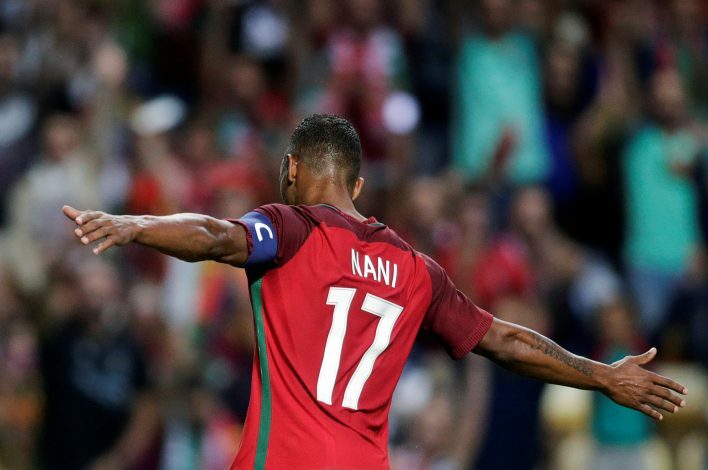 Luis Nani could return to Fenerbahce this summer, according to reports. The Portuguese winger spent only one season with the Turkish giants following the end of his Man Utd career, and his impressive performances eventually caught the eye of La Liga outfit Valencia. He ended up moving to Spain in a £7 million transfer, and has been worth the money since his move. He scored five goals in his debut campaign for the Bats, and is fond of life in Spain, but Marca have now claimed that the winger is once again being tracked by his former employers Fenerbahce. During his only season at the club, the 30-year-old managed to make a total of 47 appearances while finding the back of the net on a total of 12 occasions, and the club is determined to have him back. The Turkish giants are preparing an offer to take the player on a season-long loan, and are eager to have him back. However, they may struggle to secure a move, as Nani has repeatedly stated that he is content with life in Spain. Valencia had a poor season last year as well, which is why they are unlikely to let go of one of their star players. Furthermore, Nani had already revealed his delight at the competitive nature of La Liga, and spoke of how well he has settled down there.